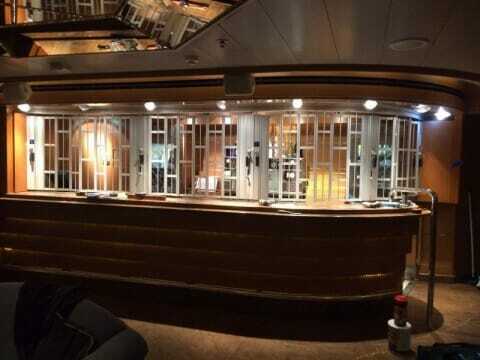 Armashield were recently comissioned to install a stylish Rollashield SF curved grille to one of the bars on board P&O’s mid-sized family-friendly cruise ship, Oceana. Here are a couple of photos back from our lucky (& hard-working) install team who finished the job early and are now hopefully soaking up some well-deserved sunshine around the coast of Italy before they disembark at Venice and fly back home! 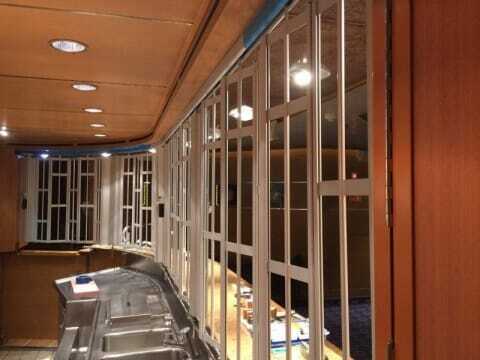 The Rollashield SF grille is a great solution for this type of application involving curved structures.